I have to start this post with a warning. These truffles will not last. Not because they are made from anything particularly perishable, but because people will not believe that you made them, because they are so good. This is what my party guests said to me the other day. 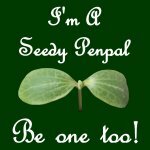 Of course, I liked this so much; I thought I would reproduce their words. Warnings aside, these little chocolates are at the least difficult end of the chocolatier’s scale. If you watch any TV programmes where they make desserts, the chefs will always tell you that chocolate work is demanding, exact and delicate. The only thing that is true of these very basic truffles is that you have to be exact about the amounts that you use, otherwise you will end up with the basis for a nice chocolate sauce, but it will not be thick enough for the ganache that is required. There is no heating things up to precise temperatures, as you have to when tempering chocolate; no delicate curls or swirling effects; no allowing things to set so you can complete the next stage; really none of the complex stuff that you see the likes of Eric Lanlard or Adriano Zumba would have you believe is part of every pâtissier’s daily life. So, these little treats would not be elegant enough to grace the shelves of a Belgian chocolatier, or a Parisian Pâtissier, or even your local Thornton’s, now I mention it. But if you make them for guests, or as a present, they will go down a treat. Because they do represent something into which you have invested love, and time, anyone you make these for will be more spoilt than the guests at the ambassador’s party! 225 g of the best chocolate that you can get hold of. I think (although this is, as yet, untested) that this is the secret to these truffles. It doesn’t matter if it is plain, milk or white, just good quality. 175 ml of double cream. It is important that you measure this as accurately as you can. If your measuring jug is not accurate enough, either double the amount you make, so you need 350 ml of cream, or weigh it. Although not precise, you can use 1g to = 1 ml, just dont add all the cream at once. Cocoa powder / icing sugar/chopped nuts for dusting. 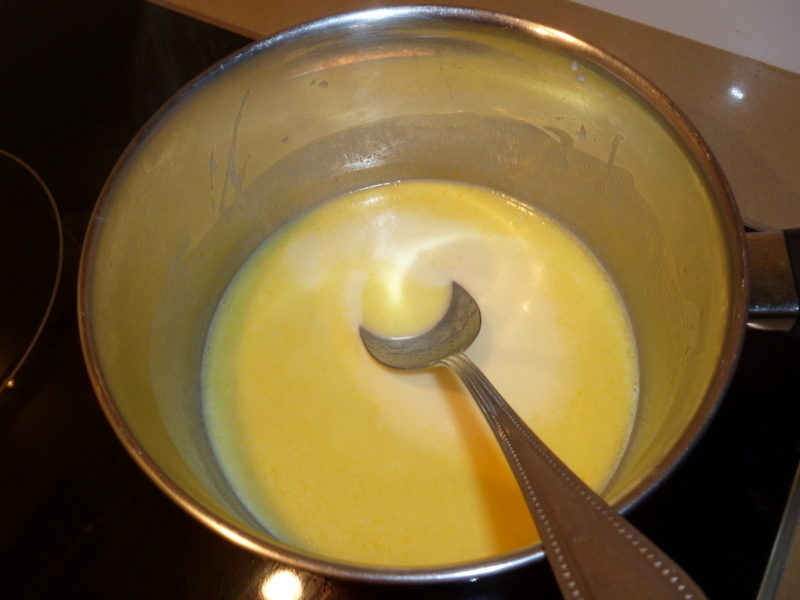 In a pan, slowly bring the cream up to boiling point (where small bubbles form around the edge of the pan) but do not allow it to boil. 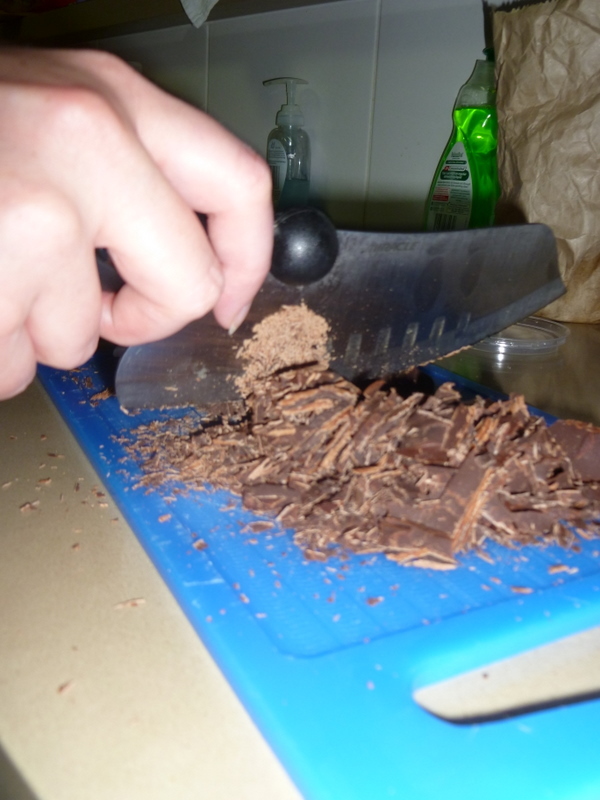 Meanwhile chop the chocolate up into small pieces. Pour the warm cream into the chocolate. The cream should melt the chocolate, but it should still be pretty thick. Stir the chocolate to make sure there are no lumps. This is your ganache. You may need slightly less cream in milk and white chocolate, to form a thick ganache, so pour it in slowly. You can always add a little more cream, but you cannot take it away if you have added too much, so caution here is advisable. Leave the ganache to cool and thicken. This will take at least 1 ½ hours, but if you wish, you can speed this up slightly by placing the bowl to sit in a sink of cold water. It is very important that you do not allow any water to get into your ganache, as this will affect the thickness and the way it sets. Do not refrigerate to speed up the cooling. This will make your ganache too hard to work with. Plus putting hot things into a fridge is not very efficient, as the fridge then has to work much harder to maintain a constant temperature. 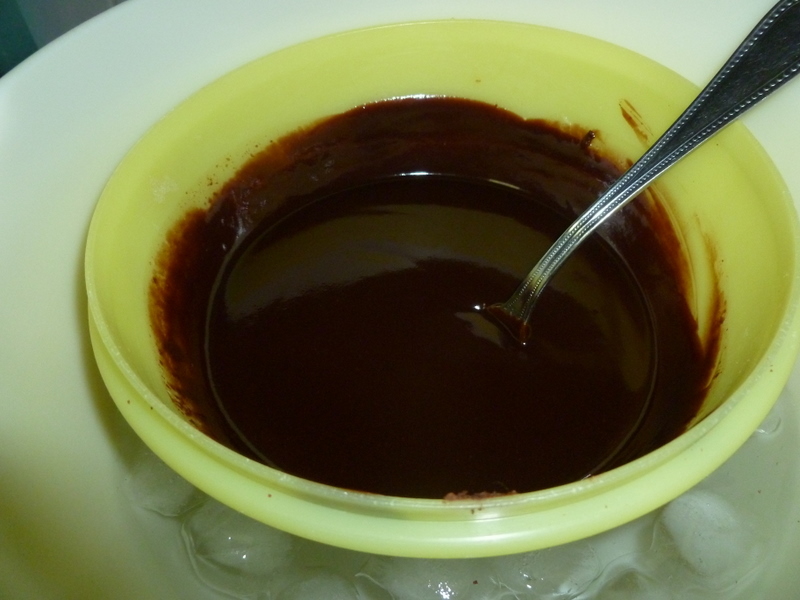 Once you have a thick ganache, spoon out small amounts, and roll gently into balls. Try to keep your hands cold, so that you don’t melt the chocolate too much. You can do this by running them in cold water, between each ball. Alternatively, you can shape them into quenelles, by using two teaspoons to mould them. If you have a little melon baller, you could also shape them with that too. 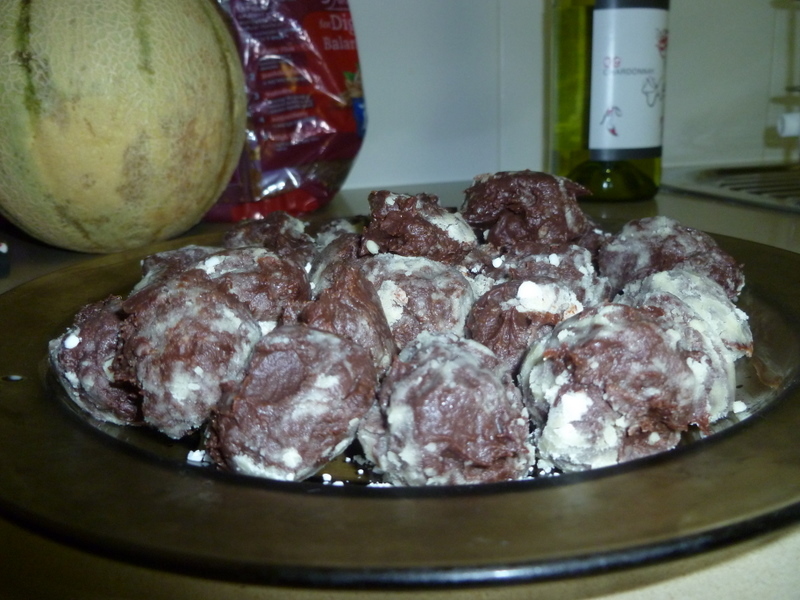 Once you have your shaped truffles, prepare a saucer with some cocoa powder, icing sugar, or finely chopped nuts. Or have saucers with some of each if you want variety. Gently roll the truffles on the saucer until they have a fine coating of your choice. These are the finished truffles, which you can either plate up and put out for guests, or put in a pretty box to give out as presents. I promise you, people will be really impressed. 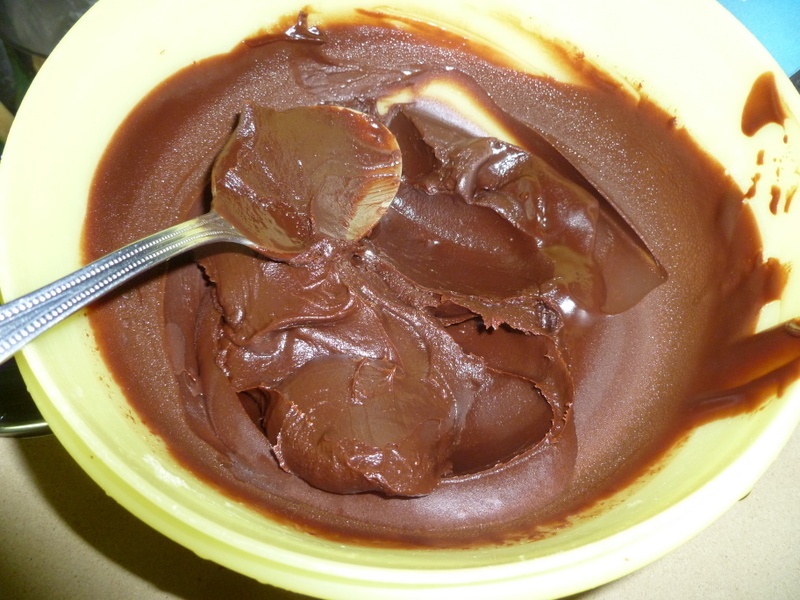 Just like Mareike’s Mayan Chocolate Mousse, varieties are very easy to make. they look deadly but I bet they taste divine! They certainly seem to go quickly whenever I have made them! I guess the results speak for themselves!